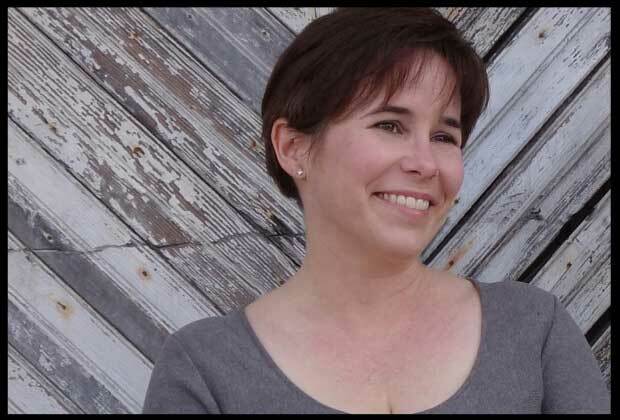 I’m going to start with author Fran Wilde, who has already seen numerous short works of hers published across the SF and fantasy spectrum; and who now is about to make a splash with her first novel, Updraft. Fran, you write both short and long fiction. Do you prefer one form over the other? I love whichever form is better behaved at the time. What do you feel short stories and novels have in common, and what differentiates them—that is, what do you have to think about when writing a novel that you don’t when writing a short story? When writing a short story, I can put as much time and effort into structure as I can a whole novel. Shorter doesn’t mean less effort. Sometimes it means more. I think short stories are often like complicated locking mechanisms, while novels are more like tapestries. What I love about writing a short story is the feeling of tumblers falling into place as I use a hairpin and a nail file to unlock it. What I love about writing a novel is the focus required to keep all the threads in my hands. Remembering all the threads that I’m weaving in is hard, especially when the world is complex, but it’s worth it. 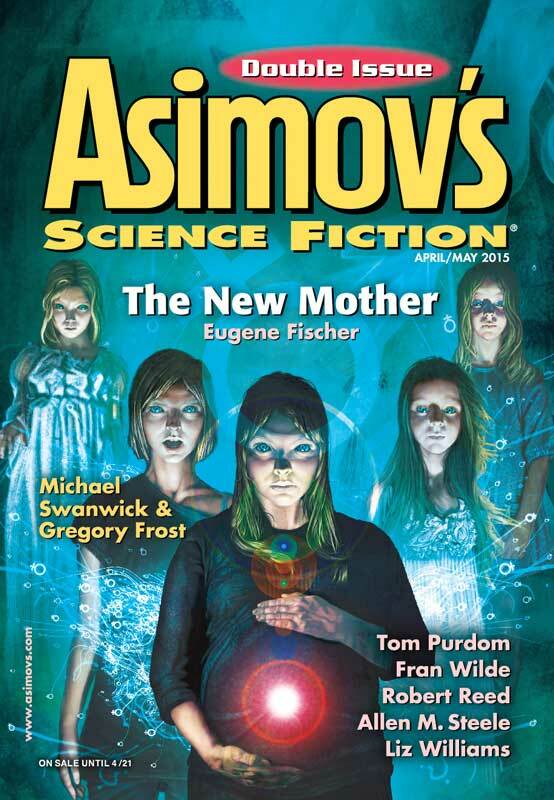 Talk a little about your upcoming story in Asimov’s (April/May 2015 issue). is it true what they’re saying about Tallulah Bankhead? And why is she suddenly appearing in genre fiction? “How to Walk Through Historic Graveyards in the Digital Age” is set in one of the oldest churchyards on Maryland’s eastern shore. The main character has returned from a war zone and is dealing with PTSD and fubar-ed tech. And possibly something more. One of the characters in the story is a shade of the actress and political activist Tallulah Bankhead. History’s remembered the actress part… and it’s certainly got a grasp on her… flirtier … side — but Bankhead’s politics, her advocacy for equal rights, and the fact that she had a very long career that spanned many forms of media has maybe been a bit buried by time and popular culture. Perhaps she’s reappearing because she refuses to be forgotten. I like to think that. You’re teaching a workshop at the Philadelphia Writers’ Conference this summer. Are you looking forward to that, and however you answer, why? Oh yes. I miss teaching quite a bit. Working with students — whether in a workshop setting or a classroom — is one way to pay forward the generosity I’ve been shown by my own mentors and teachers. I started classroom teaching when I was pretty young, at a public school for the arts in Baltimore, Loyola College, Johns Hopkins Center for Talented Youth, and University of Baltimore. More recently, I’ve worked in the writers’ workshops at Worldcons. Talking with other writers about their work and supporting them is an important part of being a writer for me. I’m not always going to say what someone wants to hear, especially in a class, but that’s part of the job too. You moved from Baltimore to the Philadelphia sff scene, and I believe have been folded into what are called “The Loud Philadelphians” … What’s the best part of the Philadelphia spectrum? The Loud Philadelphians, from what I can tell, encompasses an incredibly generous set of people who are willing to answer my ridiculous questions, show me where the good watering holes are, and show up at readings, sometimes in distant cities. I think that’s part of what’s best about the Philadelphia scene — it’s got tremendous history, a wealth of knowledge, and a whole amazing set of new voices coming up in every section of the city. 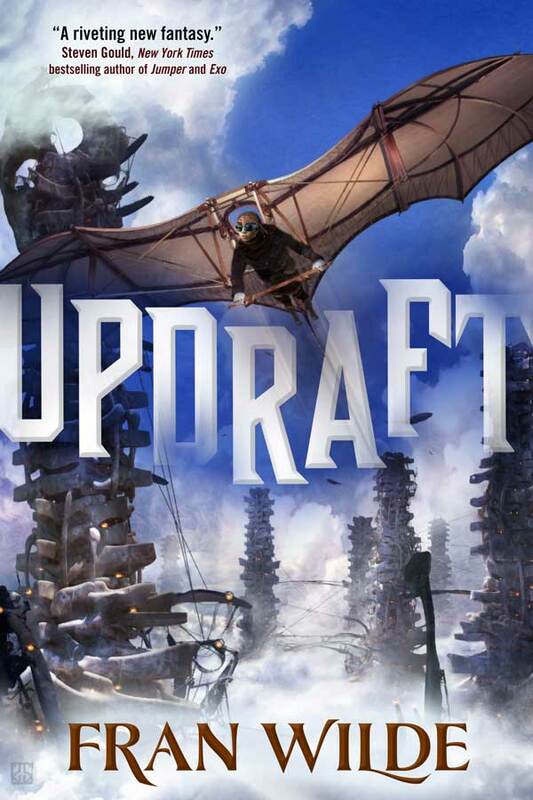 So, let’s get to your new novel, Updraft. This is the first book of a trilogy that as I recall began life as a short story. Can you talk about the evolution of this project—because I think at the point where it’s grown to these proportions, it isn’t just a story. It’s much more complex. Updraft started as one short story about a fall from great height. It developed in response to a challenge at Viable Paradise. A second short story about a knife fight in a wind tunnel followed. I started wondering what kind of world would put its people in these kinds of situations. Meantime, friends who read the short stories gave me the “this isn’t a short story, it’s a novel,” critique. Those are wonderful to hear, even if I groaned at the time. At this point, the single novel has grown to at least three set in that world, as well as several short stories and at least one novella. They’re not all linked in traditional sequels, but some are. I love the idea that there’s so much more going on in the world than the POV characters can see; that many different people are out there having adventures, and we can see only pieces of them. Sometimes I go to write a short story and end up with a novel. Sometimes I intend to write a novel and everyone should be very afraid. First of a trilogy… What can we expect in the sequels to Updraft? Ahh the sequels! It’s so hard to talk about them in advance of Updraft coming out, but I’m really excited to watch them unfold. In Updraft, there are characters of all ages and physical capabilities who are important to the story. In the sequels, you can expect vastly new perspectives, more monsters, old friends, and several new characters who are a lot of fun to write. I hope they’re as fun to read. Bio: Fran Wilde is an author and technology consultant. Her first novel, Updraft, is forthcoming from Tor/Macmillan in 2015. Her short stories have appeared or will shortly appear in publications including Asimov’s, Nature, Beneath Ceaseless Skies, and Tor.com. Her interview series Cooking the Books–about the intersection between food and fiction–has appeared at Strange Horizons, Tor.com, and on her website, franwilde.wordpress.com. You can find her on Twitter @fran_wilde and Facebook@franwildewrites. Tagged Asimov's Science Fiction, Fran Wilde, Philadelphia Writers Conference, The Bridge Workshop, Updraft, Viable Paradise.